Epcot just celebrated its 35th Anniversary, and this made me consider where the influence for Epcot came from. What inspired Walt to try to build an entire functional city where people not only enjoyed life, but also lived life? In this Melyssa and the Mouse, I'm going to take you on a little journey to some places where Epcot's inspiration may have originated. Let's go way back- back to 1893 and the Chicago World's Fair. Here, we can start to see some elements that seeped their way into Walt Disney's influence and into Walt Disney World itself. The 1893 Chicago World’s Fair, also known as World's Columbian Exposition, which featured the Great White City, shows the traditional aspect of World's Fairs. World’s Fairs tended to look backwards and reinterpret the past, particularly in their architecture. The structures built to house the exhibits usually went with an overall theme and demonstrated some type of feat of either construction or imagination. The Great White City was inspired by the neoclassic style, which focused on ancient Roman and Greek styles of columns and domes, and which was defined by clean straight lines, minimal use of color, and simplicity of form. The facades of the buildings were not made of white marble as they would have been in Roman times, but a mixture of plaster, cement, and jute fiber which was then painted white. The extensive street lights that illuminated the city also added to the name as the entire place would glow at night. This Fair, though held long before Walt's birth, can still be argued as having some influence over Disney as Elias Disney, Walt's father, was a carpenter during this Fair. He presumably worked constructing portions of the Great White City. So the idea of creating a miniature city, which romanticized the past, can clearly be seen over at the Magic Kingdom. But the argument can definitely be made that these grand expositions were a basis for how Walt would hope to create a "world" for people to enjoy. The core idea of Epcot, I feel, can be seen in the 1933 Chicago World’s Fair, which was entitled A Century of Progress, covering the time from 1833 to 1933. The main idea with this Fair was not to go back and look into the past for influence, but to reflect new, modern ideas and even suggest future developments. Why such a change in theme? This Fair happened during a time when the world was dealing with the ramifications of the Great War (WWI), and America was also coming out of the Great Depression. Clearly the idea of looking ahead and the promise of technological advancement to make the present more bearable was more appealing than looking back. Some exhibits from this Fair also can be seen as having influenced some of Epcot's attractions. For instance, the Fair introduced people to things such as the "dream car" and even "concept cars" that would not be on the market- hello Test Track. There was an exposition that showed many modern home conveniences, as well as new building materials and techniques- I see you over there Innoventions. 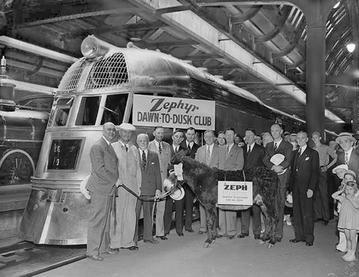 The Union Pacific Railroad exhibited its first streamlined train, named the Zephyr, which made a high speed dawn-to-dusk run from Denver to Chicago in just 13 hours and 5 minutes- can we say "monorail?" And there was also a wild animal exhibit- think about the original idea for Jungle Cruise and eventually Animal Kingdom itself. But we know that this Fair is not the only influence on Walt himself. How does the idea of 140 pavilions, 110 restaurants, and 37 host nations sound- sort of like a certain festival we all want to enjoy each year? In actuality, this was what the 1964 World's Fair looked like as Walt Disney brought 4 of his own exhibits, showcasing some of the newest audio-animatronic technology, which Epcot's original attractions relied upon. Another key to Walt Disney World is the visual "weenie," which Walt had been using since Disneyland, though it seems he topped himself with the Tower of the Four Winds as it became landmark of the Fair and introduced the phrase "Meet me under the Tower of the Four Winds." Now, when you enter Epcot, you can meet under the giant golf ball. If you want to find a bit of Walt's influence for transportation around Epcot, you can look at the Ford's Magic Skyway exhibit which featured self-driving cars- think of the People Mover in Tomorrowland. Progressland, presented by General Electric, also featured some of the newest household inventions, again looking at you Innoventions. 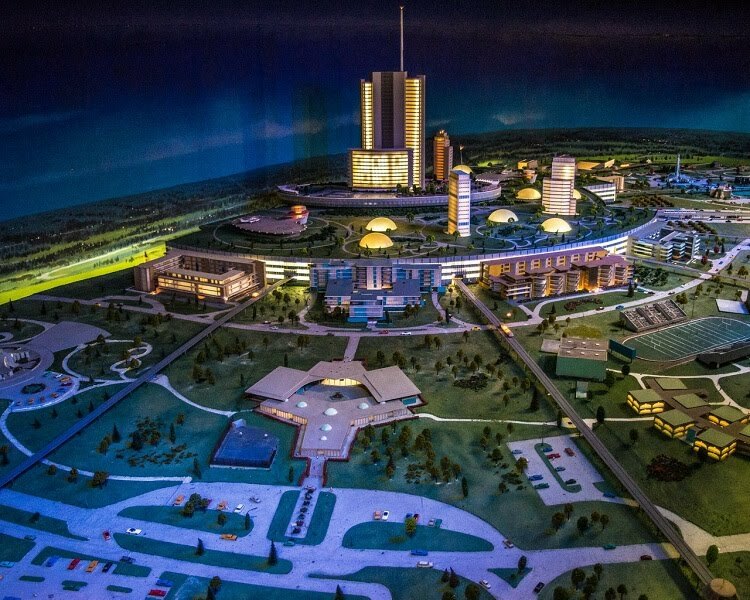 Walt had the idea for Epcot, which he described as an Experimental Prototype Community of Tomorrow that "will take its cue from the new ideas and new technologies that are now emerging from the creative centers of American industry." He also indicated it would be a "community of the future" that would never be completed, but always be introducing and testing and demonstrating new materials and systems. Walt also wanted Epcot to be a showcase to the world for ingenuity and imagination of American free enterprise. It can also be argued that Epcot is a permanent World's Fair. It is a showcase of what is to come and lets guests experience the best of the most recent technology. If we look at it this way, there is no reason why attractions based on IPs could not encompass this. For instance, if we look outside of Epcot and over at Animal Kingdom, Flight of Passage has a unique ride system and relies on the newest technology. The Na'vi River Journey contains the most advanced animatronic, and is arguably the most breathtaking even after having experienced it firsthand multiple times. So, if the Imagineers can bring in new attractions with this in mind, why is it bad if the theme of the attraction is from a Disney movie? With what we've seen over the past 35 years, do you think Walt's vision has held up? What changes can be made that will still encompass Walt's ideas but reinvigorate a park that is in sore need of some change? Let me know!